You don’t need to buy your own wireless infrastructure, while we can provide it through our cloud’s dedicated wireless resources. That can be used to register clients and store provided information incloud’s backend database system. or splash screens are form of promotion and advertising. It is very popularly used today and they may contain logo, graphics, or animated features.They are used to attract your visitors and they can select any site they want to see. Leverage the flexibility of the cloud backed with the security and reliability of our dedicated backup resources, by backing-up application data with a private, secure, reliable connection to our cloud. We offer the most cost-effective and best managed Dedicated Server Solutions available. 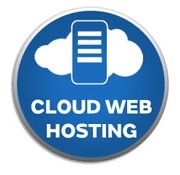 our Dedicated web hosting Solutions also come with 24x7 through our global technical support center. We offer single processor and dual processor dedicated servers with tailored hardware specs to fit and fulfill any business needs. ultra-reliable servers of Global IT Services guarantee 99.9% uptime on your business email. Our email hosting dedicated cloud has all the features needed to get the job done—an intuitive, easy-to-use email management interface and backend, calendar and contact tools that sync to every device and make your business more productive and more effective. • Long term contract plan. © Global IT Services Inc. 2017.